We have had many members asking us what the differences are between our HT350 and a stock clutch. 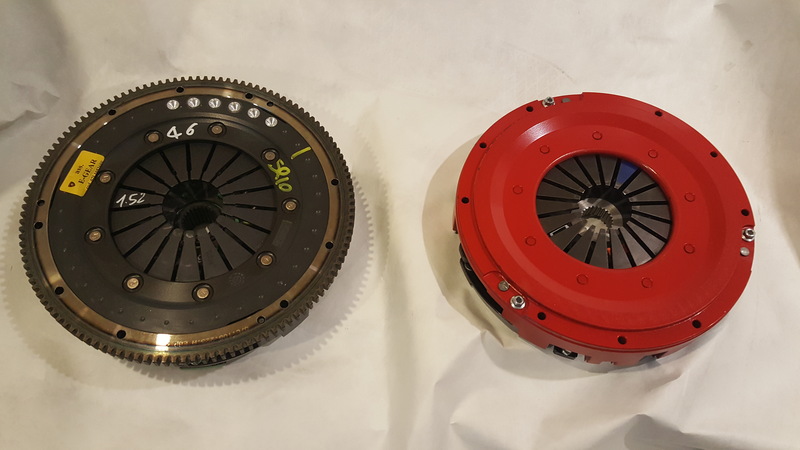 I wanted to show the differences between our HT350 R8 Kevlar clutch and a stock clutch. 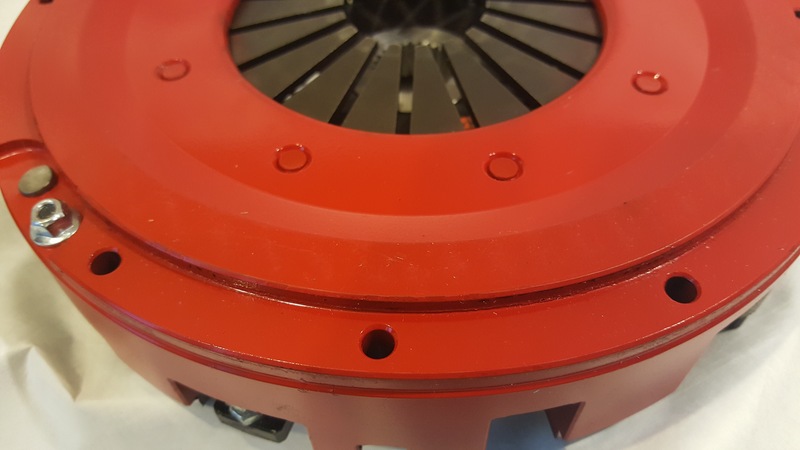 If you look at the pressure plate cover/lid, you'll see that a stock clutch has dimples to shave off weight in order to balance the pressure plate. It is similar to balancing a wheel/rim of your car. You add weights to balance your rims but in this case, weights are taken off. Please look at the red marking of the stock clutch. 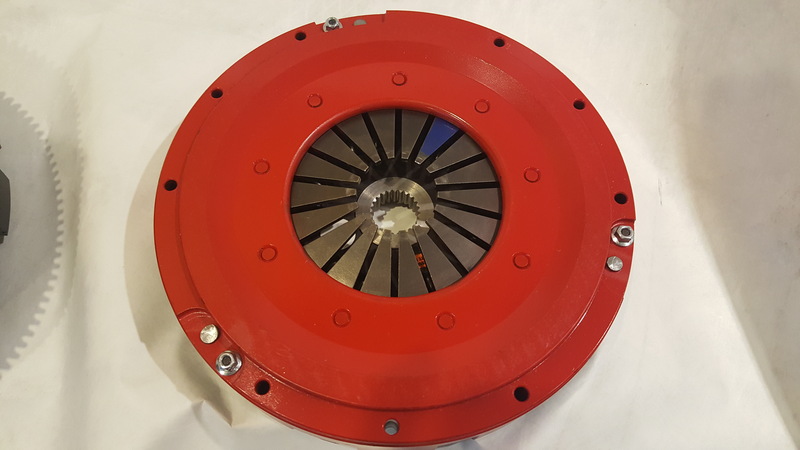 If you look at our HT350 pressure plate's cover/lid, there isn't any dimples because our cover/lid is made out of a billet aluminum and it comes zero balanced. No need for balancing our HT350. Our pressure plate cover/lid is lighter since it's made out of billet aluminum. A billet aluminum is also stronger. A lighter clutch also contributes to a quicker shifting. Some of our customers have told us that it's almost as quick as a DCT(Dual clutch). Our HT350 with different stages can handle from 1,000 hp to 2,000 hp. 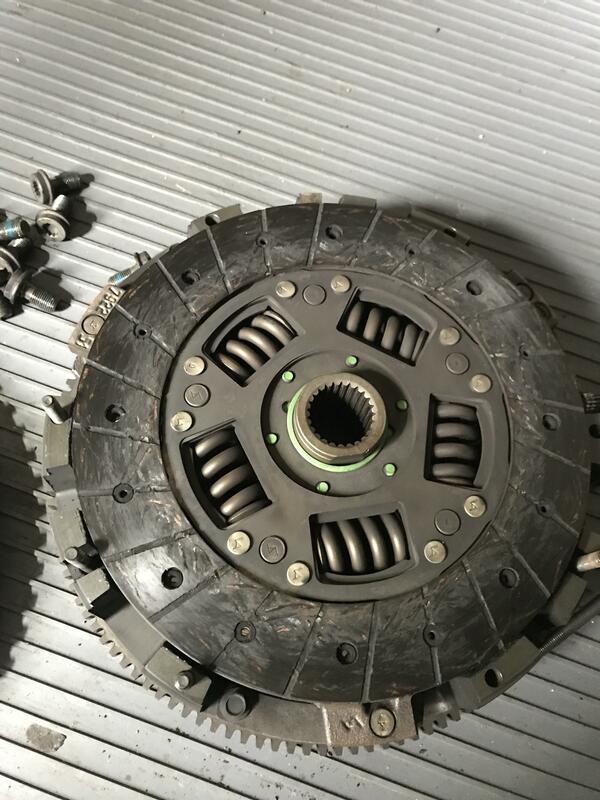 The stock clutch shown here is a Gallardo stock clutch. Gallardo and R8 are very similar but they have different clamping force but the cover /lid is the same. As you can see in these pictures, there are no dimples on our HT350. 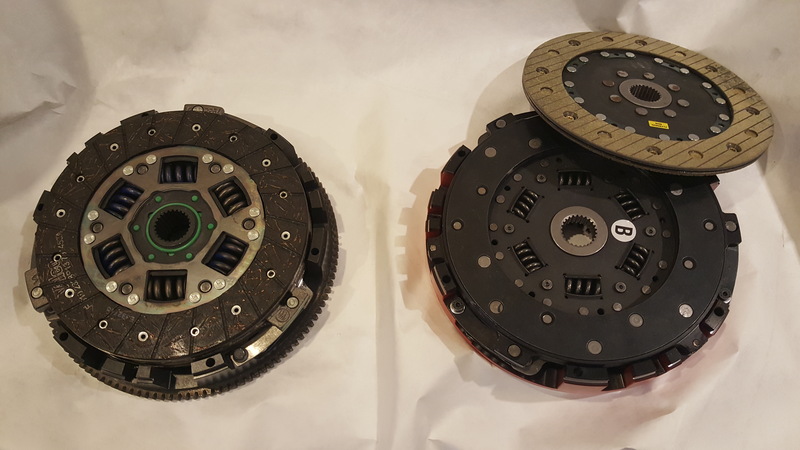 Now I like to show you guys the differences between the clutch discs. 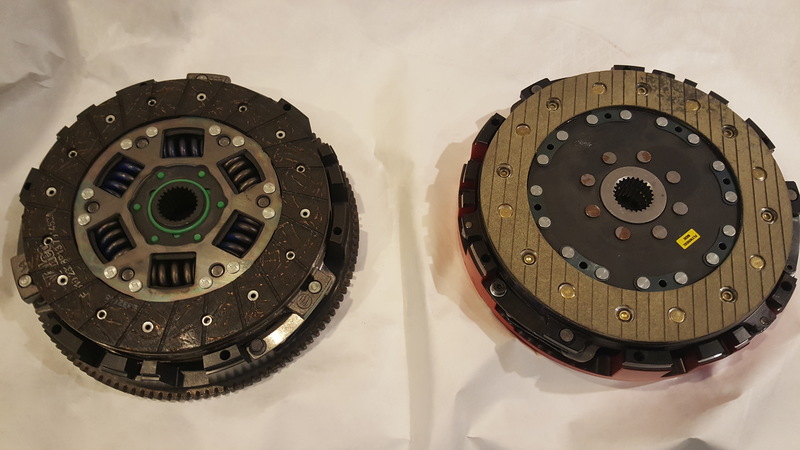 Both the stock clutch and our HT350 come with twin discs. 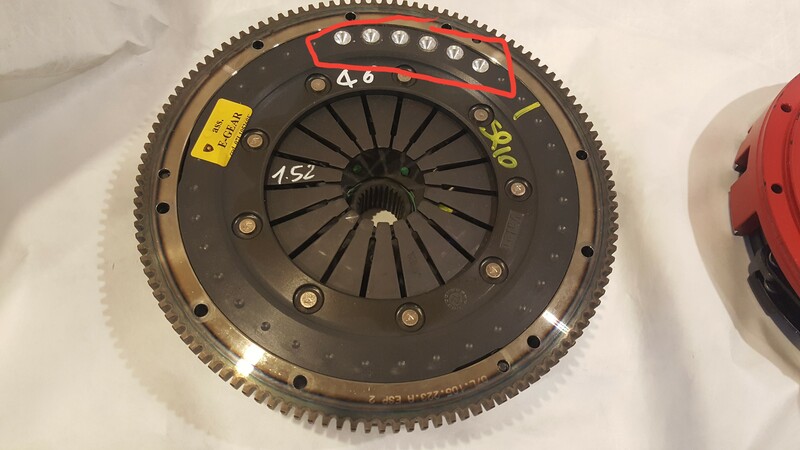 A stock clutch comes with 2 plates with both having springs whereas HT350 comes with one disc plate with springs and the other disc without springs. 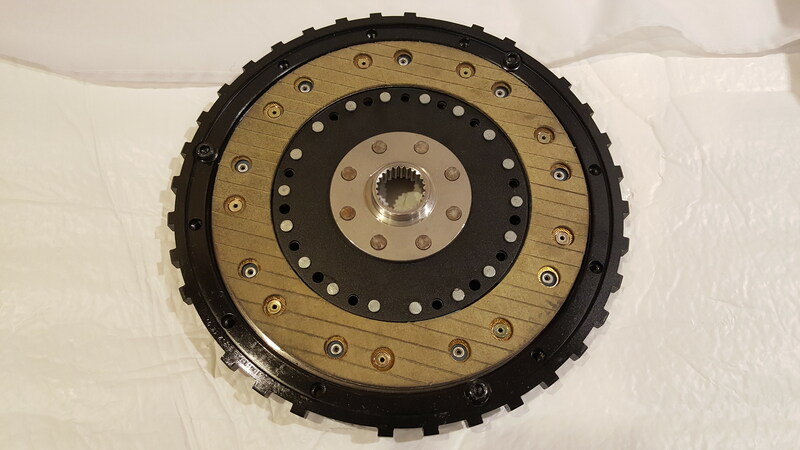 If you look at our HT350, the top clutch disc doesn't have any springs on the plate whereas a stock clutch has springs. A clutch plate without springs give you a quicker and more instant shifting but you can get more jerkiness and bucking if you are not knowledgeable enough how to tune out the bucking and calibrate it. 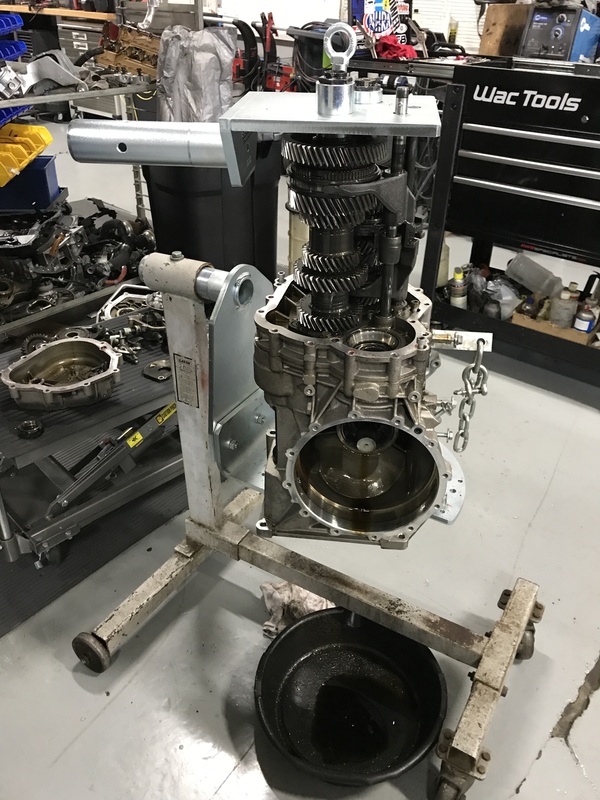 Our HT350 is actually smoother than a stock clutch because we spend a lot of time in setting up and tuning the pressure plate. Our HT350 shifts almost as fast as a DCT(Dual clutch) like in V10 plus and Huracan. This is not an easy calibration. Audi and Lamborghini couldn't do this but we were able to do it. There are not too many manufacturers that are capable of doing this calibration in order to make it a smoother and a quicker clutch. 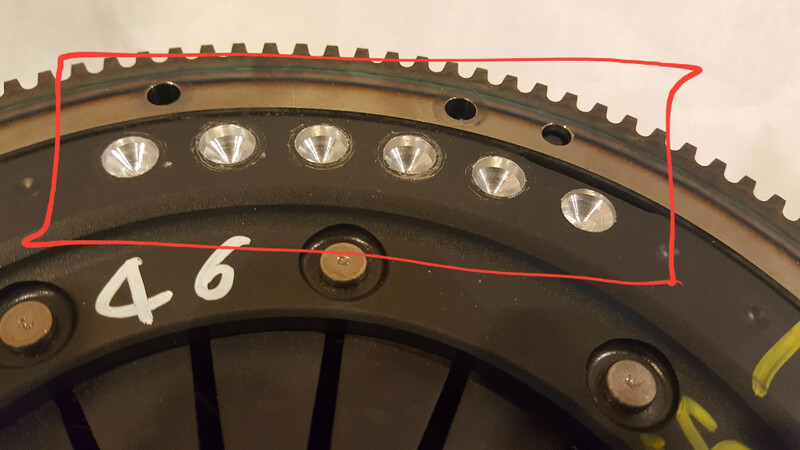 As you can see, the second disc plate of our HT350 has springs.